Hardgainers need not worry any longer. 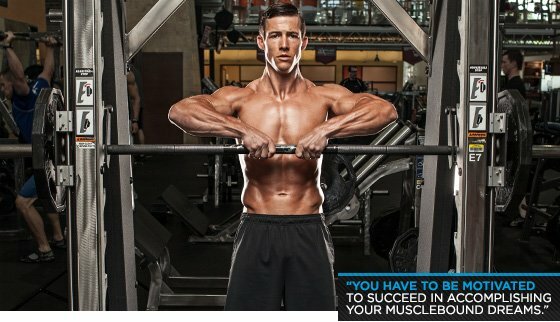 Part 4 of this 4 part series covers motivation for real muscle building. Try it and leave your skinny past behind. We have arrived at the final part of the four-part series on how I gained muscle and changed my life forever. We have covered diet supplements, and hitting the iron. Most people figure that is all there is to it. I found that there is a fourth piece to the puzzle. In order to succeed in accomplishing your musclebound dreams, you have to be motivated. Gaining muscle is a long and difficult process. If you do not have the mindset that your goals will be accomplished and that you are going to do whatever is necessary to achieve them, then you are going to struggle a lot more. I genuinely feel that without being as driven as I was, it would have not happened for me. You already have a nutrition log and a training log. You may have a BodySpace account and are keeping it all there. I didn't because BodySpace hadn't existed yet when I started. So I had three notebooks. One for food, one for the gym, and one for my thoughts and ideas that kept me motivated. When I was down, I went back and read over them and that got me going again. Well, that was a little better. At least I can tell if I achieve my goal or not. Still, I was missing something. That statement doesn't read like I am positive about doing it. I didn't like that word "hope." Hope is great, but I had plans, not dreams. So then I revised my statement again. Now we are getting somewhere. That is definitive. That is a statement. I am making a guarantee that I will meet my goals. However, I could have met that goal at anytime and I would have been successful. I could do it five years from now and still be true to my goal. I don't want to do it five years from now. I don't even want to do it in a year. I want to do it as soon as possible. How else can I make this statement something that will put pressure on me and keep me focused? I need a deadline. Deadlines are the ultimate pressure. Athletes have deadlines every game. Office executives have deadlines on projects. Students have to get reports done by a deadline to get a passing grade. After some thought, here is what I finally had as of March 1999. "By June 29, 1999, which is my 18th birthday, I will weigh 150 lbs. and bench press 185 lbs." Perfect. Now I have the goal, the deadline, and the confidence in a statement that will remind me every day that I have to stay motivated on the task. I know this statement played a big factor in me meeting my goals. I still do it to this day. I had to see what it was I wanted to do. I constantly visualized everything about the whole process. There were two occurrences every day when I used visualization. Before going to the gym and before I went to bed. Let's start with before I hit the gym. I would find a corner and sit by myself for a few minutes. I would close my eyes and visualize myself completing every set I intended to do that day. I saw every workout before I actually did it. I could feel the sweat on my brow. I could hear the iron clanging. I could even hear the spotter yelling at me as I was lifting. Doing this about five minutes before I began made the entire workout easier because I had already done it in my mind. I was more confident and motivated in myself. Before I go to bed at night, I would relax and focus all of my thoughts on reaching my goals. I saw myself as I would be if I was successful. I could see the new muscle on my physique, I could feel the power in myself since I am so much stronger, and I walked with more confidence in myself. I would see myself putting on my T-shirts that were size large instead of small. I could hear all my friends compliment me and ask how I did it. I saw everything in my mind right down to the last detail. To give myself something to actually look at, I found a picture of a bodybuilder whose body I admired. I then cut my head off of another photo of me and pasted it onto that bodybuilder's body. Nowadays, you can do that with Photoshop, but this worked for me at that time. Seeing that would fire me up every time I made that walk to the gym. OK, enough about what I did. Let's focus on what you are going to do. From this point on, there is no more hope, there are no more dreams, and your time for success is not sometime later. It is right now. You have to get those negative thoughts out of your head. From now on, you are going to do this. You will succeed and achieve every goal you set, because now you are motivated. You are driven. Failure is not an option. As a matter of fact, it shouldn't even be a notion in your mind. You are going to do what you want to do because you are now confident in yourself. You can't think you will be a success, you have to know, absolutely know that in your heart, you are a champion. You are a winner. Every day from now on is an opportunity to prove you and your supporters right and prove your doubters wrong. Every day is one step closer to your ultimate fitness destiny. Whether you want to be a pro athlete, a competitive bodybuilder, or if you just want to be a big guy in your local gym. You have to want it more than anything else in life. Do you remember that one toy you wanted so desperately as a child? Take that desire and multiply it by one thousand. That is how bad you want this goal. Anything less and you won't be as successful. Someone is going to see you as you are working toward these goals. Someone who is considering making a similar decision for his or her life is going to see you and you could well be the person who influences that decision. What would you want that decision to be? Conduct yourself and work like you would want that person to. 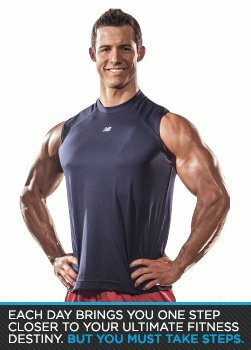 We have now covered all four parts of going from hardgainer to hardbody. You now know what to eat, what supplements you should take, how to perform in the gym, and you are now more motivated than you ever thought you would be. The question is now are you going to do it? 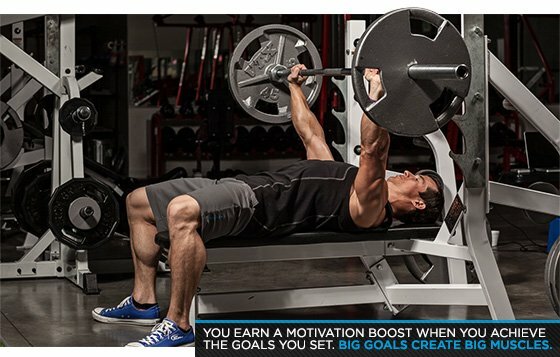 When you do succeed, email me at rock23@bodybuilders.com and let me know what goals you achieved. If you don't have a BodySpace account by now, go get one. It is free and will make your life a lot easier as you gain the muscle and strength you desire. Once you get on BodySpace, add me. There are also BodyGroups that you can join to help you stay on the path, share tips, or brag on your accomplishments. Now, go meet your goals and inspire others to do it as well. Bodybuilding is the reason I am who I am today. I am more confident in myself, actually looking for the next challenge, and inspiring others.